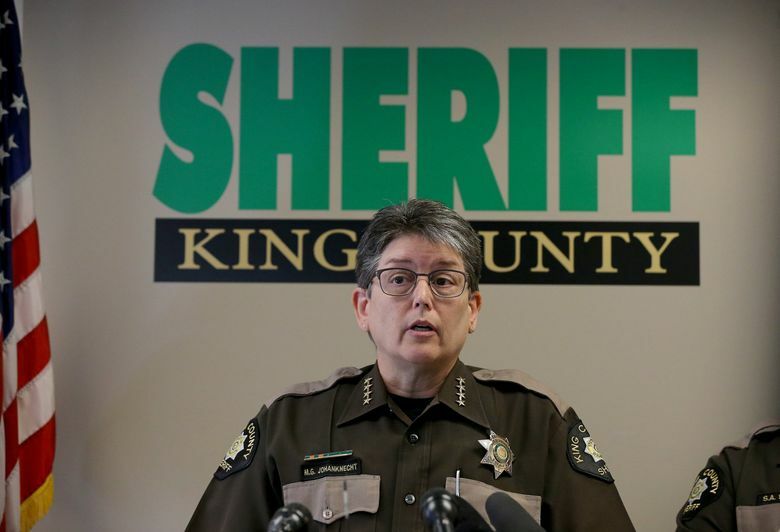 The suspects, all males ranging in age from 17 to 19, have each been charged with two counts of conspiracy to commit first-degree murder, said King County Sheriff Mitzi Johanknecht. They were arrested last week. Erasmo Plata was standing alone behind a Burien convenience store just after midnight on April 12, 2017, when three people wearing dark clothing got out of a car, approached him and opened fire. The three returned to a getaway car, leaving behind Plata’s body, at least 28 shell casings and surveillance video documenting the killing, according to court documents. On Monday, the King County Prosecutor’s Office charged five teenagers with conspiracy to commit murder for their alleged roles in Plata’s killing, describing it as a retaliatory gang killing. King County Sheriff Mitzi Johanknecht said the five suspects are members of the “United Lokotes” street gang. According to charging papers, the suspects — Francisco I. Montero, 19; Fray Martin Garcia Jr., 18; Ismael M. Martinez, 17; Sergio Pereyda Salgado-Vanata, 17; and Jesus Omar Terrazas-Avalos, 18 — used Facebook messenger to plot the murder, plan its execution (one man offered to drive them in his mother’s Honda Accord) and boast about its success. Then, the teenagers planned more “duck huntin” later that night, according to court documents. The two 17-year-old boys were charged in adult court. The killing was one of several violent acts in a “deadly and dangerous” gang feud that began escalating early last year between the United Lokotes and a rival gang, the “Varrio Locos,” in South King County, Johanknecht said. The sheriff’s office hopes the arrests quell the violence. “This is a strong warning for other group members. Senseless violence will be met with swift law-enforcement action,” Johanknecht said in a news conference Monday. The killings began last year after Varrio Locos members allegedly killed 19-year-old United Lokotes member Artura Marcial Alvarez in Federal Way on April 11. Three people have been charged in connection with that slaying. Immediately after Alvarez was killed, the United Lokotes teenagers used a “shooters”-only Facebook messenger group to “announce their intent to kill any VL (Varrio Locos) member they encountered,” according to charging documents. Plata was killed just eight hours later. “We did a MF dirty,” Montero wrote in a Facebook message after the shooting, according to charging documents. “Let’s go to SP I’m trying to catch another duck,” he allegedly said in another message, apparently referring to Seattle’s South Park neighborhood. Ballistics later matched the three weapons used in Plata’s killing to the shooting of Garcia-Garcia, the charging documents say. King County sheriff’s detectives have been working on the case for more than year and obtained a search warrant for the suspects’ Facebook accounts, Johanknecht said. Jerrell Wills, the chief of criminal investigations for the sheriff’s office, said the investigation into the gang violence would continue. “We feel really confident taking five of these suspects off the street is a significant impact,” he said. The shootings are among several tied to a gang disputes in South King County. 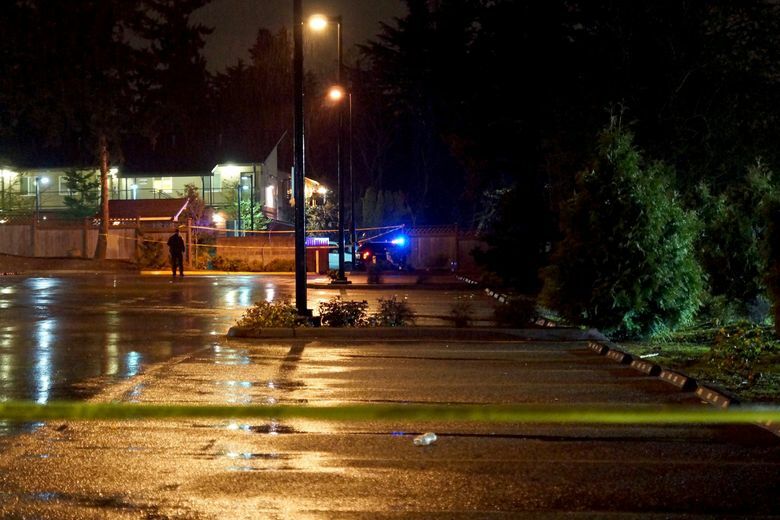 In late March, Eveona Cortez, 19, of Seattle, and Elizabeth Juarez, 13, were killed in an altercation in a parking lot of the Alturas @ Burien apartment complex. The two teenagers were with a group of about a dozen kids when a fight broke out. A 16-year-old witness who knew the victims said the two were affiliated with a gang. A member of a rival gang shot them, she said. Cortez and Juarez were the third and fourth victims of gun violence at the Alturas @ Burien apartment complex since January 2016. Alberto Zavala Leon, 17, died from a gunshot to the head on Jan. 8, 2016, not far from where the two girls were killed on March 28. A car sped off, and a group of people left the scene on foot, police said at the time. Zavala was a student at Highline High School. On Jan. 3, 2017, Manuel Ortiz Ornelas, 18, died of gunshot wounds in a dispute over “graffiti disrespect” after someone defaced his gang’s markings, according to court records. A then-17-year-old, Joshua Rios Andrade, was charged as an adult with second-degree murder. It’s unclear whether any of the five suspects arrested last week are believed connected to the homicides at the apartment complex. “We’re not ruling anything out,” Wills said, when asked about the deaths of Cortez and Juarez.